Apparently the failure to produce the work of art was in fact the work of art. Or something. 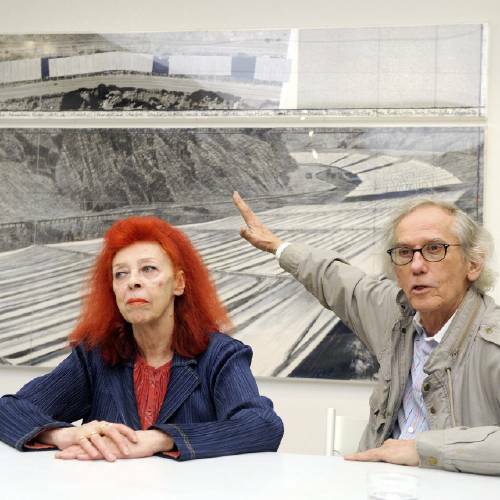 "Congratulations, Christo, the cancellation actually prolongs the project in its purest form — as an object of talk — and no fish or frogs, trees or bighorn sheep had to be displaced to get that done.... I once asked him how he described the project to people who are unfamiliar with it. He didn’t talk about fabric. He simply said “our project is the things.” By that he meant the meetings and court filings, the studies and debates, the photo books he made, the insults people slung at him." It is certainly true that the sale of drawings, etc., help to finance the whole enterprise — and I use the word "enterprise" advisedly.